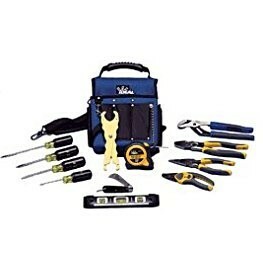 This Journeyman Electrician's Kit by Ideal Industries includes 12 different tools necessary to get the job done. To store these tools it comes with the handy Journeyman Electrician's Tote. Lifetime Guarantee On Hand Tools!